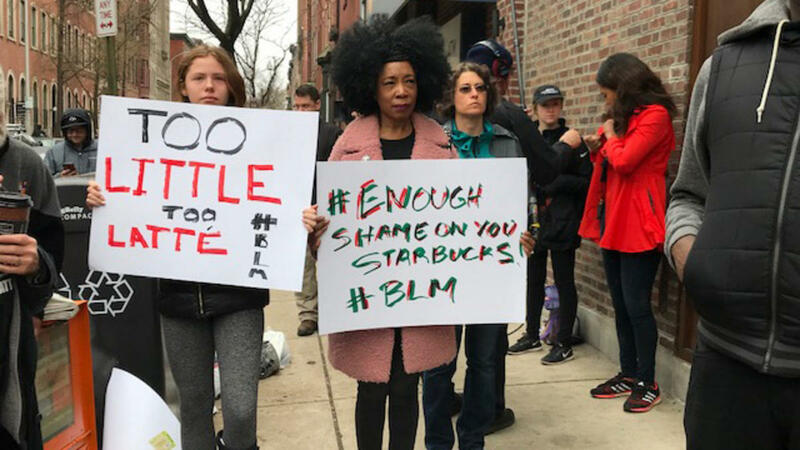 When Starbucks announced plans to conduct anti-bias training at its 8,000 outlets following the unprovoked arrests of two African-American customers in Philadelphia, psychologist Rodolfo Mendoza-Denton was at once impressed and skeptical. A veteran scholar of prejudice, stigma, and race relations, Mendoza-Denton is keenly attuned to under-the-radar discrimination that runs counter to the stated values of seemingly progressive individuals and institutions. “It’s a huge step that most CEOs wouldn’t want to take, and so I applaud them,” says Mendoza-Denton, associate dean of diversity and inclusion at the University of California, Berkeley. That said, he recalls Starbucks 2015 “Race Together” campaign that encouraged baristas to strike up conversations with customers about their racial and ethnic backgrounds, and which received lots of criticism. “It was very symptomatic of race relations in the US, in that people try to do the right thing and everyone has something to say about it, and criticize it, including me,” quips Mendoza-Denton, author of the book Are We Born Racist? (Beacon, 2010). He approves of anti-bias training insofar as it can jumpstart difficult conversations about deeply ingrained prejudices that play out as microaggressions. Ultimately though, he’d prefer to see a greater commitment to diversity at all corporate and institutional levels, not just the middle and lower rungs of the ladder. Moreover, two decades of his research show that the cognitive, social, and physiological symptoms of racism recede significantly when people bond over common experiences and goals. And so, he keeps beating the drum for cross-race relationships, which means more people stepping out of their comfort zones and making friends with people from different backgrounds. Q. What’s the difference between overt racism and implicit bias? A. With old-fashioned racism, you make no bones about your racism. Implicit bias, on the other hand, does not have to correspond with your explicit attitudes. You may value diversity and equality, but still end up treating people differently because of their identity in ways that you are not aware. For example, if someone doesn’t hold the elevator door for you, it could be that they didn’t see you or they were in a hurry, or it could be that your race had something to do with it. Over time, that kind of ambiguity can wear on your ability to function in an academic or workplace setting. Q. Does anti-bias training work? A. It depends. There’s fairly compelling research showing that anti-bias or diversity training either has no effect or backfires. If you are forced to talk about bias, you might feel resentful. Or, you might do the training and feel like you’re morally clean and no longer required to monitor your behavior, which could lead to further transgressions. Anti-bias training needs to be followed up with a long-term commitment to change. Q. Is social media helping raise awareness of racism? A. Social media gives voice and image to a narrative that’s been available, but not heard, long before social media came along. But through social media, that narrative is accessible to many more people in a very visceral way. On the other hand, these are not the only images that social media lifts up. When you’re online, you can also find very negative stereotypes that become ingrained in viewers’ minds. The hard question is, how do you open people’s hearts to the plight of communities where black people are dying at the hands of police officers? No video clip is going to help if people don’t feel compassion, and that’s the challenge we have today. Q. You coauthored a study that tied racism to heart disease among both blacks and whites. What surprised you about the finding? A. We hypothesized that implicit bias would contribute to higher mortality rates, but instead we saw that poor health outcomes, including mortality, were more likely to be linked to overt racism. This suggests that explicit racism continues to get in the way of health-care, jobs, and other sources of well-being and advancement. Q. How about implicit bias in academia? Is that a problem? A. Most faculty want the best for their students, but change is often met with stiff resistance, especially from professors who feel that being made to change the way they do things infringes on their academic freedom. Professors wield a lot of power in that they decide which scholarly work is worth taking on, and their biases can go unchecked when the standards for how to evaluate a student’s work are too vague or ambiguous. For example, a white male professor may dismiss ideas pitched by women or minorities while endorsing similar ideas when pitched by male students. A recent study of mine shows that in most STEM fields, minority and female graduate students publish less. Some of that can be attributed to the similarly vague ways students get the opportunity to publish. Our recent findings suggest that one way to combat implicit bias in academia is by creating clearer expectations and guidelines for assessing students and scaffolding their progress. By the way, this also applies to business. The Wall Street Journal just reported that Starbucks has no clear guidelines for the conditions under which non-paying customers can stay. This is exactly the kind of situation where bias is likely to occur. Q. What about white people who feel they are being unfairly stereotyped or passed over? A. You definitely have a camp who will tell them, ‘Get over it. This is reality. You need to check your privilege,’ all of which is true. But these truths have to also be paired with compassion, not contempt, because people may just avoid contact with other races to avoid uncomfortable feelings and conversations altogether. That’s why I keep going back to interracial contact and friendship. It’s better to have coworkers from different backgrounds, better to invite kids from different ethnicities over for play dates. Not to talk about race every single time, but to share common experiences and goals. To share in our common humanity. Q. Are younger generations less likely to harbor racial biases? A. That was the argument they made about my generation, but it didn’t turn out that way. As we grow up, we are still pushed towards segregated jobs, housing, and social networks, and this generation will face the same pressures. We need to change the fundamental make-up of our institutions to give intergroup contact a chance to work.